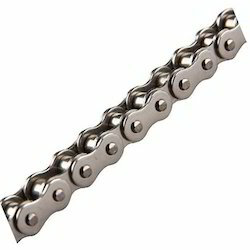 We are a leading Manufacturer of top roller conveyor chain and roller bearing chains from Mumbai, India. We are the leading manufacturer, supplier and exporter of Top Roller Conveyor Chain. The Chain Conveyor consists of one or more endless chains on which loads are carried directly. Our product makes the movement of machinery works much smoother and simpler, thus lessening the burden on human labor. These are available in various specifications and models. We are offering Roller Bearing Chains to our client. 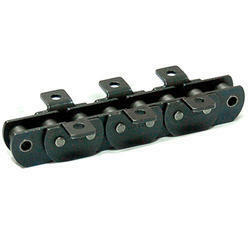 Looking for Top Roller Conveyor Chain ?